Where and what is the dometic product number? Because we believe in helping our customers to maintain their much-loved home-from-home at a manageable cost, at Leisureshopdirect we stock thousands of caravan spares to support you in your maintenance, upgrade and refurbishment of your caravan. Tourers return to us year on year to take advantage not only of our highly competitive pricing but also the availability of the caravan accessories they need. Those looking to complete a project on their ‘van or repair some seasonal wear-and-tear come to us for the caravan spares they struggle to find elsewhere. Need to replace a leaking rooflight? Has your flyscreen door seen better days? Have the window stays on your ‘van begun to give up the ghost? Need to replace the shower head in your caravan’s bathroom? From the largest, most essential equipment like heaters, water pumps, ovens and fridges to O rings, cupboard stays and curtain hooks, our extensive listings of caravan parts won’t disappoint! On Leisureshopdirect we provide you with exploded diagrams so that you can do the work on your ‘van instead of paying someone else to do it. Exploded view diagrams are pictures or technical drawings of objects or parts of your caravan or motorhome, that expose the structure of the item, how the parts fit together and how the parts relate to one another spatially. An exploded view diagram shows the intended assembly of mechanical of other parts of your toilet, fridge or oven. It separates the various parts of an item so that each part can be seen clearly. Exploded diagrams or schematic diagrams are sometimes shown in your manual for the item, and show caravan or motorhome spares contained in assembly or sub-assembly. They give a pictorial vocabulary list of all the caravan spare parts available for any of the many parts necessary for your caravan or motorhome. Exploded diagrams, by allowing you to see the integrated make up of the item, can also make it easier for you to fit the spare part or replacement part to your caravan fridge, caravan toilet, caravan oven or even bike rack. All the exploded diagrams have part identification number and the Leisureshopdirect reference number, making it easy to source the smallest spare part needed for your caravan. Exploded parts diagrams are designed to help you order the correct caravan spare by giving visual representation of the equipment with labelled part numbers. If you need a spare part for your Truma fire, dometic caravan refrigerator, dometic caravan toilets, dometic air conditioner or dometic generator, click on the list and look for the model of your appliance. You can then click on the model, be it a Truma Ultraheat or the Dometic RGE 100 Fridge, and you will be given a choice of exploded diagrams to make the sourcing of the correct spare part needed easier for you. For example the Dometic RM8550 fridge will present you with 4 exploded diagrams which cover the spare parts required for the cabinet and fittings, the door, the cooling unit and the control equipment. The Thetford Toilet Cassette type C2, C3 and C4 will give you a schematic diagrams for each appliance giving you the available parts. You need to click on the spare part required to be taken to the product on Leisureshopdirect so that you can order the part with the knowledge that it is the correct item for the problem you have with your appliance. If you have a Fiamma awning, you can click on the model you have – i.e the Fiamma Caravanstore Awning spare parts and the exploded diagram will easily identify the parts available for that particular model. Find exploded diagrams for Isabella awnings, omnistor awnings, ventura awnings, so the various spare poles to replace any missing poles will be easily identified. If you have a fiamma bike rackor omnistor bike rack and need a spare part or replacement part, click on Fiamma bike racks and find the Fiamma carry-bike XLA Pro 200 to get the exploded diagram for that model. 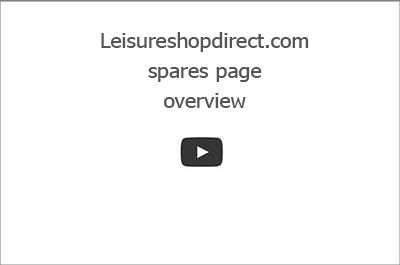 All spare parts available will be easily identified and the spare parts listed on the Leisureshopdirect site. Caravan spare parts for your Truma fire whether it be the Truma Ultraheat, the Trumatic E2400 LP GasHeater, the Trumatic S3002 LP Gas Heater, the Trumatic S5002 LP Gas heater or the Trumavent fan, you will find schematic diagrams to help you source the correct spare part for your caravan fire. Spare or replacement parts for your Truma Heater, the Truma Electroboiler, the Truma Ultrastore water heater, the Truma Therme TT-2 Electric water heater, the Truma Combi gas and electric heater, the Truma C6002, C3402 and Truma boat boilers BM10 and BM14. Exploded diagrams help you source your caravan spare part easily. 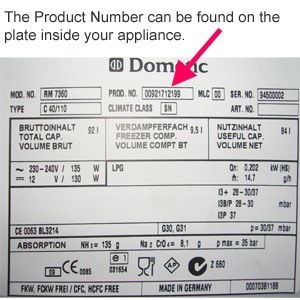 On Leisureshopdirect.com you will find exploded diagrams for every Dometic Fridge that has spare parts available. The Dometic RGE range, if you need a thermostat for your RM2200 caravan fridge, or a doorbin bottle retainer for your RM4200 fridge, a door catch for the RM4361 fridge, a turning knob, selector switch for your RM6290 fridge, a fridge shelf for the RM6400 fridge, a peizo ignitor for the RM7270, an ignition cable for the RM7370L fridge, an ice tray for the RM7400, a burner for the Dometic RM7601L fridge, a slider door lock for your RM7855L fridge, a salad bin for the Dometic RM8400 Caravan fridge, or a freezer door hinge for your RM8500 fridge look no further than Leisureshopdiect.com. The exploded diagrams lead you to the spare part required and then to the part on Leisureshopdirect to make the purchase of the spare part easy. Caravan spare parts for your Dometic caravan toilet including the Dometic 972 portable toilet, the dometic 976 portable toilet and the CT 3000 toilet. Using the exploded diagrams to find your caravan spare part, the process will be accurate, ensures you get the spare part for the correct appliance. If you need replacement or spare parts for your dometic air conditioning unit, you will find exploded diagrams all the air conditioning units with spare parts available. The Dometic B2200 air conditioning unit being the most popular unit, you should b able to identify the spare part required from the clear exploded diagrams and the source the part easily from Leisureshopdirect. Whether you have a thetford C2, C3 toilet or C4 toilet, and need a drain tube assembly, a waterfill funnel assembly, a pump or a replacement seat and lid, look at the exploded diagram page and source the correct part easily. Your holding tank on your C400 series Thetford toilet may require a new blade opener or complete holding tank. Your Thetford Porta Potti 365 may need a new dump cap or float arm or a lipseal for your porta potti 465. Every Dometic product has a unique product number associated to it. Enter it into the text box for quick searching to find the exact part for your appliance that you are looking for.